Black Bear Design is honored to announce that we have been named to the Agency Spotter Top 20 Design Agencies. Agency Spotter, a B2B ratings and review authority and SaaS provider, connects marketing decision-makers with top marketing agencies across advertising, design, digital, and 40 other marketing services. The report features the best 20 design agencies out of the 3,560 listed on their website. 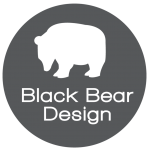 Black Bear Design is an Atlanta-based digital marketing agency specializing in web design and development, internet marketing and graphic design. We recently launched our Charlotte office to offer our clients even more personalized services to enhance their brand presence. From web strategies and user experience to development and marketing, Black Bear Design creates value in everything we do. We deliver digital solutions through website design and marketing that include mobile, social, SEO, and paid search campaigns. Our portfolio shows the range of style, strategy, and creativity we can deliver. Each client we work with has their own brand, distinct look and is truly unique. Explore the full Top 20 Design Agencies Report, including verified client reviews, project work, and more here. Learn more about the methodology Agency Spotter uses to rank agencies here.